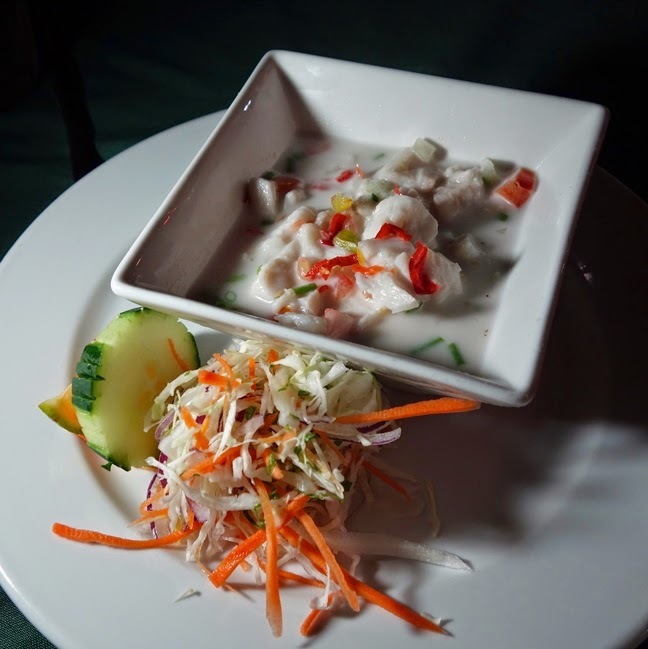 I have seen this dish on the menus of many Pacific Fusion restaurants here in Auckland so when we were in Fiji – I had to try ‘the original’. Nadina is located at Port Denarau. The food here was wonderful but it was not the only reason why we were at this lovely eatery twice on our holiday – it’s the people. Staff at Nadina was wonderful. They were warm and welcoming. Kokoda is pronounced ko-kon-da –the same way Nadi is nan-dee and Nadina is nan-di-na. I have been told it should be served with deep fried chilli but at Nadina this dish did not come with any chilli at all. However, chopped fresh chilli was available on request (and the girls seemed to be delighted when I requested it). It is basically fresh fish marinated in lime juice with finely chopped vegetables (tomatoes, capsicum, red onion and chilli) and coconut cream, simple yet very delicious. It tasted a bit like Thai Tom Kha soup so I could connect with it instantly after the first bite. I haven’t tried cooking it yet but I sure will if I am in the mood (warmer weather) and can get good fresh snapper at a reasonable price. (It's way too expensive at the mo - quite dissappointing for a country surrounded by seas). Note: Apologies for skipping Wednesday post - I was a slave at work!